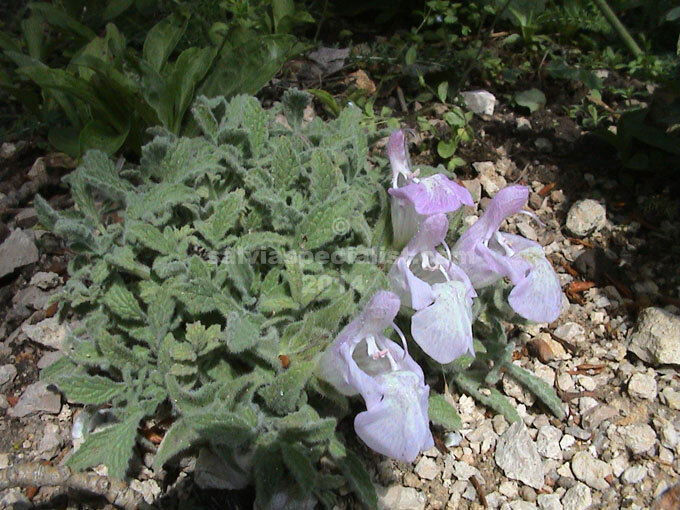 This is a desirable Turkish ground covering salvia from rocky limestone country. It is very low with pink flowers. It is not usually sold in Australia because it needs specific conditions to grow and is not easy. It needs a dry cold winter. I would love to grow it successfully but it is one I have abandoned until I have much more time to concentrate on it.